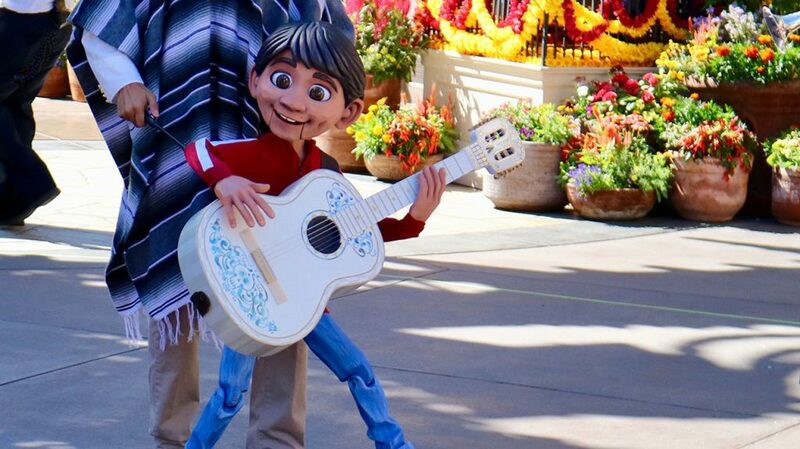 Disney has announced that starting March 6th, the story and vibrant music of Coco will come to the Mexico pavilion, courtesy of Mariachi Cobre. The musicians of Mariachi Cobre are joined by a pair of Folklórico dancers to tell the tale of Miguel Rivera, his love of music, and his journey to find what matters most – his family. The dancers perform to the music of the film, pulling everyone into the celebration, and Miguel himself appears in the form of a whimsical, hand-crafted puppet. This new “Coco”-inspired show expands the repertoire of Mariachi Cobre, who will also continue performances of traditional mariachi music.